I’ve always been a pretty independent person. I’m very giving and quite often go out of my way to help others but I have a tough time accepting help. I like the feeling of being able to say I accomplished something on my own – like building my own business, paying off my mortgage as a single mom, or taking the initiative to learn a new skill. Although it can be difficult for me to sometimes accept help, I know there are two people I can always count on to be there for me – my mom and dad. As a single mom, I honestly don’t know what I’d do without their support. When I have to work and need someone to take my son to soccer practice, my parents don’t hesitate to offer help. When I want to go out to dinner with friends, they’re quick to invite my son over for a sleepover. When there’s something that needs fixing around the house and I can’t figure it out on my own, my dad will stop by after work to help me. They are both huge influences in both my life and my son’s life and I’m so appreciative of everything they do for me. Although I’m nearing 40 years old, I still feel like I need my parents in my life. They are officially seniors now – don’t worry mom, I won’t share your age here – but they are still both very active and still do so much for family and friends. I live in the same neighbourhood as my parents and my son gets to spend time with them almost daily. With the changes in our family over the last couple of years (my divorce), I realize even more the importance of demonstrating to my son that he has a strong support system around him. My parents play a very large role in his life and I wouldn’t want it any other way. Some may refer to Canadian seniors over the age of 65 as “baby boomers” but they are also known as the Give Back Generation. According to Canada’s 2016 census, there are now 5.9 million Canadians over age 65, representing 16.9% of Canada’s total population. By 2036, the number of seniors in Canada is projected to range between 9.9 and 10.9 million – accounting for 23% to 25% of Canada’s total population. It’s clear to see why seniors are referred to as the Give Back Generation! It’s time that we all see seniors as valuable members of our society and thank them for their continued contributions. Really, where would we be without them? Do you have a special senior in your life that you’d like to thank? 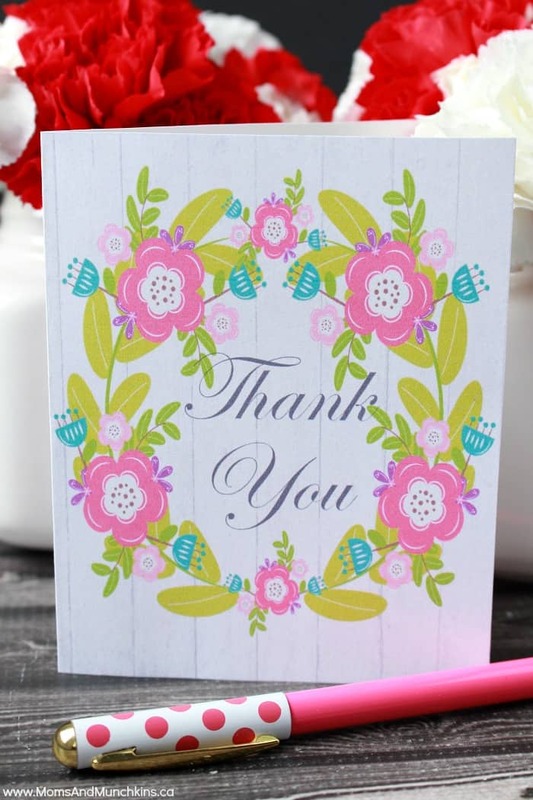 We’ve developed free printable Thank You cards so you can write a note to a special loved one today. Visit EverythingZoomer.com to check out stories about how seniors are giving back. They are hosting a contest for seniors who give back, so head over to http://www.everythingzoomer.com/loveyourage/ to help narrow down the winners!